During the second and third quarters of 2013, Consumer Action’s Outreach team trained San Francisco families, shelter residents and seniors on various MoneyWi$e educational modules. Oak Tree Vineyards photos provided courtesy of Rod Vasarhely, photographer. MoneyWi$e is the financial literacy partnership that was founded in 2001 by Consumer Action and Capital One. Audrey Perrott, Consumer Action’s associate director of outreach and training, in April presented the MoneyWi$e ID Theft & Account Fraud module at the Portola Family Connections Resource Center. Consumer Action has partnered with Portola Family Connections for the past two years to provide the trainings as part of an eight-week financial education program. The training was conducted concurrently in English and Spanish, with the Center’s family support manager, Erica Rendon, providing the Spanish translation. In addition to MoneyWi$e materials, Perrott distributed copies of the Federal Trade Commission’s Taking Charge: What To Do If Your Identity Is Stolen guide. At the end of the training, there was a drawing for a paper shredder to reinforce the importance of shredding sensitive documents to protect against identity theft. The following week, Perrott conducted a training for the residents and case managers of Raphael House in the Tenderloin District on the MoneyWi$e Tracking Your Money Wisely and Saving to Build Wealth modules. Raphael House helps at-risk children and their parents to achieve stable housing and financial independence. In one activity, participants were asked to offer money management prescriptions to get the sample individuals and families back on track. Perrott spoke about the importance of saving and establishing goals. At the request of the case management staff, she provided residents with a list of credit unions and banks that participate in the Bank On San Francisco program and offer accounts and services for the unbanked and underbanked, including “second chance” programs for those who have abandoned accounts or had other banking issues in the past. 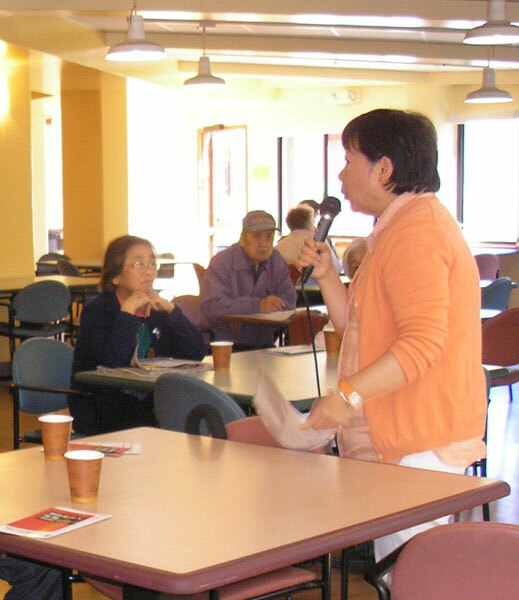 In May and July, Jamie Woo, one of Consumer Action’s community outreach managers, presented the ID Theft and Senior Fraud modules in Chinese for immigrant families and individuals at the Chinese Newcomers Service Center. The Chinese Newcomers Service Center smoothes the adjustment process for Chinese immigrants and refugees through multiple services. In response to stories from participants, Woo highlighted information related to obtaining adequate forms of identification to avoid problems when accessing financial accounts, and the importance of not divulging sensitive information over the telephone. Together, Perrott and Woo conducted concurrent Elder Fraud trainings in English and Chinese at San Francisco’s Woolf House. Participants joined in a lively game of “fraud bingo,” a part of the MoneyWi$e Elder Fraud lesson plan. 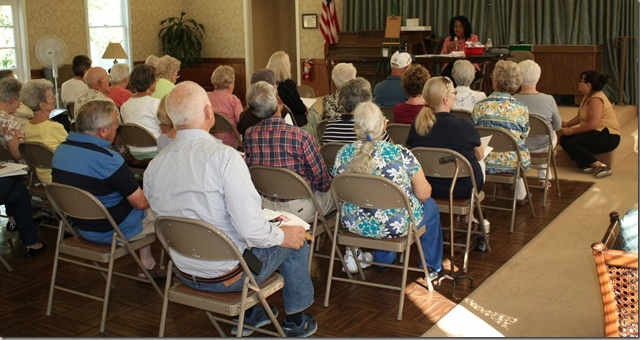 In July, Perrott headed north to Napa to conduct a training on senior fraud and identity theft for the Oak Tree Vineyards Homeowners Association. Prizes were awarded to participants who were first with the correct answers to questions in “Con Games,” a true/false quiz from the Elder Fraud lesson plan. 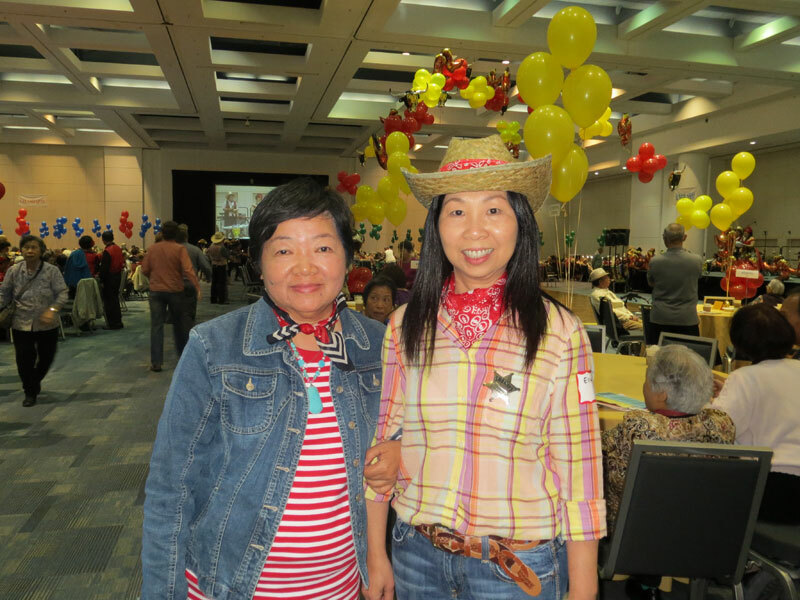 For the third year, Perrott and Woo staffed a resource table at the 25th Annual Yerba Buena Senior Ball in San Francisco. They distributed MoneyWi$e and other financial literacy brochures and answered questions from among the approximately 1,300 seniors who attended from nine local senior homes. Consumer Action provides trainings for community groups to help them better educate their clients on how to assert their rights in the marketplace. In addition, Consumer Action provides free multilingual materials to support community groups’ education programs. To learn more about our outreach and training publications and tools, visit our Outreach & Training pages.